Search the internet for bacon quotes, and you’ll find things like this: “Is this too much bacon?…Said no one ever,” or “Bacon is the best, even the frying of bacon sounds like applause,” and “Bacon is proof that God loves us and wants us to be happy.” It’s good on its own, it’s good crumbled up in anything, and I do mean anything, it’s just good. I’m more than a little suspicious of bottled bacon bits, but as a bacon analog for vegetarians, I’m willing to look the other way. Here are a selection of recipes with bacon in the title that our users have added to ReciFoto. Bacon Covered Turkey – no recipe here, but talk about a happy Thanksgiving! I know what I’ll be looking for at the farmers’ market today! 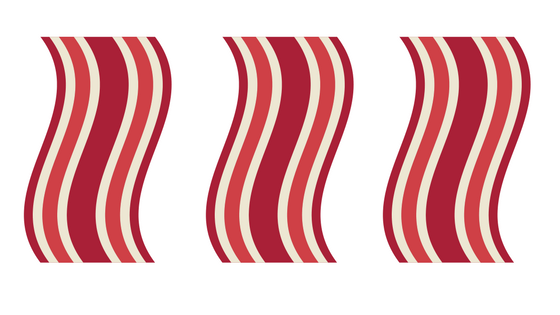 What are your favorite bacon recipes? Please share them on ReciFoto.